Ambassador to Egypt (1989-1992) and Ambassador to India (1993-1995). International lawyers remember him well as one of the most respected members of the International Law Commission having served for 17 years (1992-2009). Ambassador Yamada acted as the Special Rapporteur on the topic of Shared Natural Resources, a new and truly important subject in the twenty-first century. The Draft Articles on the Law of Transboundary Aquifers (2008), of which he was the sole author, were made possible by his vast knowledge and wisdom. 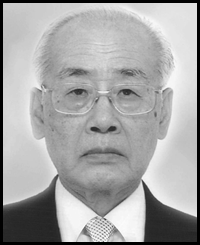 Ambassador Yamada was a prominent professor of international law at Waseda University (1996-2002). He acted as a Judge of the Arbitral Tribunal of the Southern Bluefin Tuna Case (Australia and New Zealand v. Japan). He was the delegate of the Japanese Government to the Asian-African Legal Consultative Organization (“AALCO”) (1993-2007). In Japan, essays in honour of Ambassador Yamada on his 80th Birthday titled, INTERNATIONAL LAW COMMISSION AT A CROSSROADS, in Japanese, were published in 2011. Ambassador Yamada was truly a man for all seasons in the field of international law and diplomacy. He appeared in Journal of East Asia and International Law Volume 3, Number 1 being interviewed for International Lawyer: A Dialogue with Judicial Wisdom. We were very much impressed by his integrity and gentle spirit. We express our sincere condolences and pray for his soul.